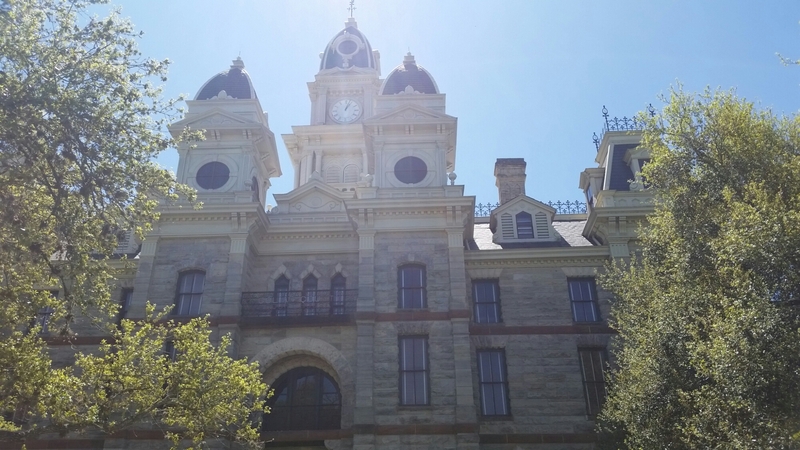 One of the best parts of traveling around the state is seeing the County Courthouses, and the historic squares that have been brought back to life by cute antique and gift shops, and hopefully a good restaurant or two! Goliad does not disappoint. The Courthouse was completed in 1894, and still in use today as a courthouse. Texas law was harsh, and death by hanging was usually immediate. To speed it up, trials were actually held under the oak tree. Late at night, we stood under the tree singing Jennifer Lawrence’s The Hanging Tree, from the Hunger Games Movie, because we’re cool like that (sarcasm). Located right across from the Courthouse and the Hanging Tree, the restaurant offers homestyle food and incredible pies! My kids loved browsing around the Hanging Tree Antiques, especially since they played their victrola for them! 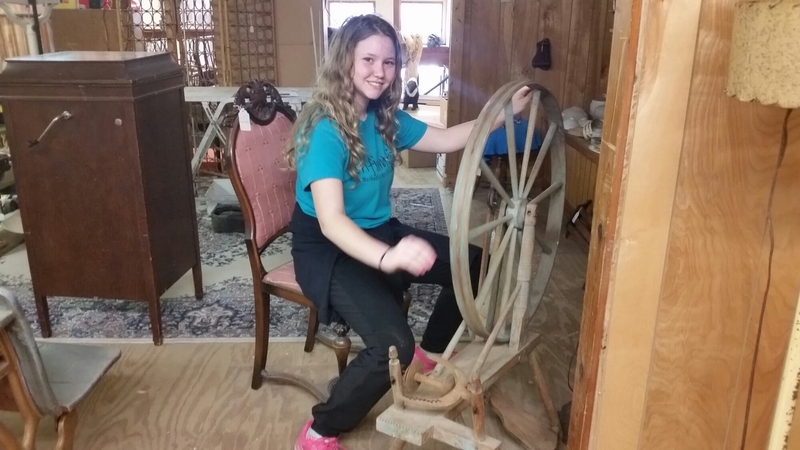 My daughter loved the collection of spinning wheels. Branch Nature Park is located just a short walk from the courthouse, and offers a playground and 9 hole disc golf course. 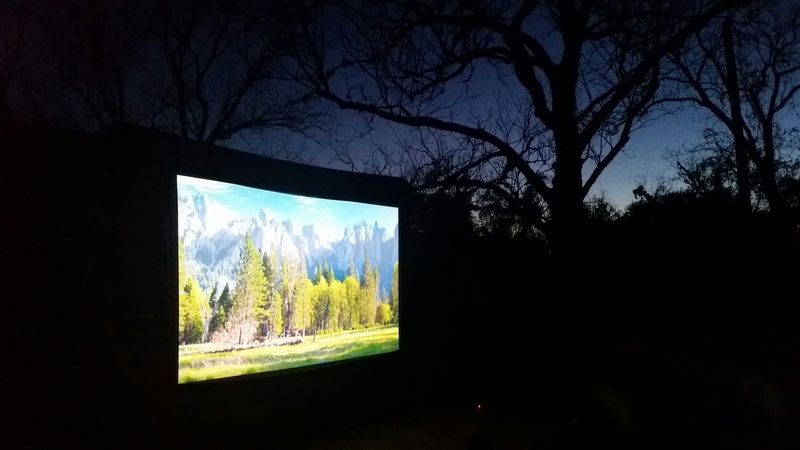 During our visit to Goliad, we went to the Branch Nature Park to watch Yogi Bear, one of the Movies in the Park, following a nature presentation. The kids loved sitting under the stars to watch the movie! 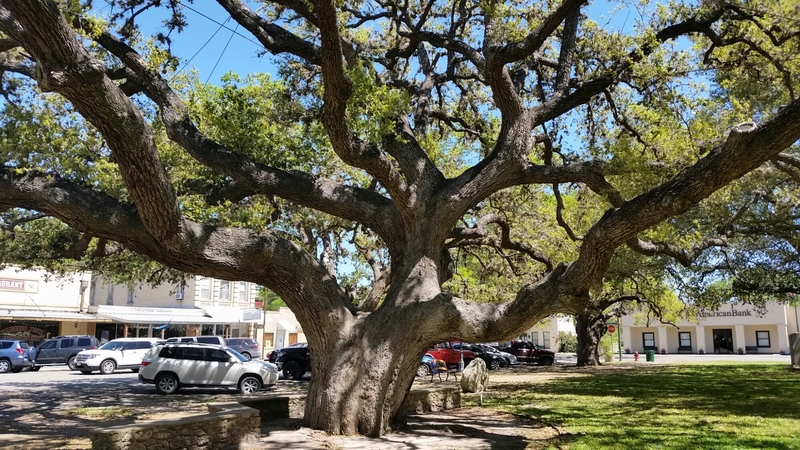 Operated by the San Antonio River Authority, click HERE to visit their website for current events in the park. has RV/tent camping plus bike/paddling and hiking trails! Click HERE to read more. Canoe Trail Goliad is the Summer Floatilla on the peaceful San Antonio River each May, or the Harvest Floatilla in November. Click HERE to visit the Goliad Chamber of Commerce Website.